The museum offers a variety of internships for undergraduate and graduate students. Most provide college credit, and two summer programs, the B. Craighead Davidson Internship and UNCG/Gayle Hicks Fripp Internship, provide a stipend. Applications are accepted on a rolling calendar with deadlines, and announcements are typically sent to community colleges, colleges and universities the semester prior to the internship. 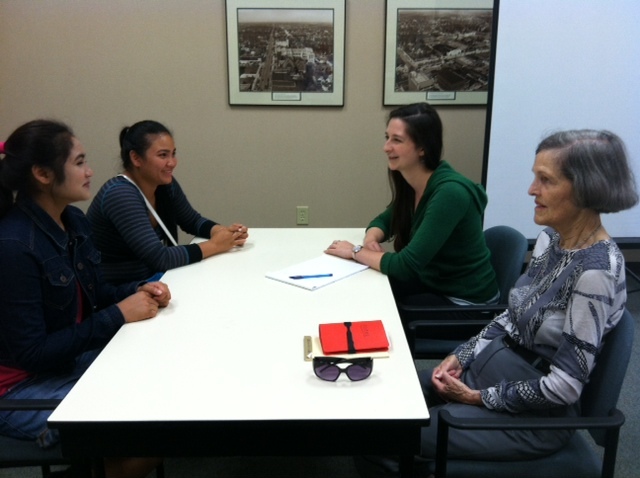 Interns agree to a contract with their staff supervisor that describes their project and lists work responsibilities. Ongoing communication and collaboration ensure a positive work environment and a defined outcome. At the end of their projects, interns are requested to write an informal account of their experience. Interns have assisted departments on a broad range of projects, from helping with collections inventories to working with manuscripts to community outreach and educational programs. The application period for internships has now closed. Applicants should be notified of their status in mid-April. <!–See the following documents for instructions. Applications are due Monday, March 18.